Our experienced dentists and team offer a full range of services for patients of all ages. When you visit Green Bay Smiles, we will work with you to develop an individualized, comprehensive treatment plan to help you achieve and maintain a healthy smile. We invite you to call us today at 920-339-9013 to learn more about general and family dentistry in Green Bay, Wisconsin, and to schedule your consultation with Dr. Aaron Bushong and Dr. Beau Schneiss. The best way for you to avoid developing problems such as cavities and gum disease is to properly care for your teeth at home. 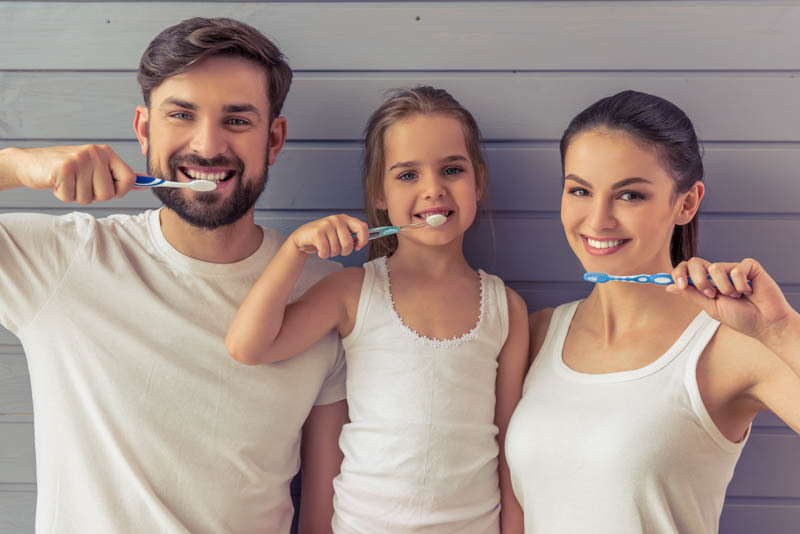 When you visit Green Bay Smiles, our dentists and hygienists will review your at home hygiene routine and make recommendations about how you can improve it. To schedule your appointment with Dr. Aaron Bushong and Dr. Beau Schneiss and learn more about dental hygiene in Green Bay, Wisconsin, please call our office at 920-339-9013. If your gums bleed while brushing or flossing, you may have periodontal disease! Dr. Aaron Bushong and Dr. Beau Schneiss offer gum disease treatment to help you manage the harmful bacteria in your mouth and begin regaining a healthy smile. Call Green Bay Smiles today at 920-339-9013 to schedule your consultation with our skilled dentists and learn more about gum disease treatment in Green Bay, Wisconsin. If you are afflicted with bruxism (teeth grinding), our dentists can provide you with a custom night guard to protect your teeth while you sleep. Night guards are specially designed to be comfortable and allow for proper breathing. To schedule your appointment with Dr. Aaron Bushong and Dr. Beau Schneiss, and to learn more about night guards in Green Bay, Wisconsin, please call Green Bay Smiles today at 920-339-9013. Dr. Aaron Bushong and Dr. Beau Schneiss offer oral surgery to treat a variety of conditions, from simple tooth extractions to sleep apnea treatment. When you visit Green Bay Smiles, we will carefully evaluate your mouth to determine which type of oral surgery is best for you, and we will discuss your treatment options with you. Please contact our office at 920-339-9013 to learn more about oral surgery in Green Bay, Wisconsin, and to schedule your consultation with our experienced dentists. Green Bay Smiles offers sleep apnea treatment to help you rest better at night and enjoy better oral and overall health. 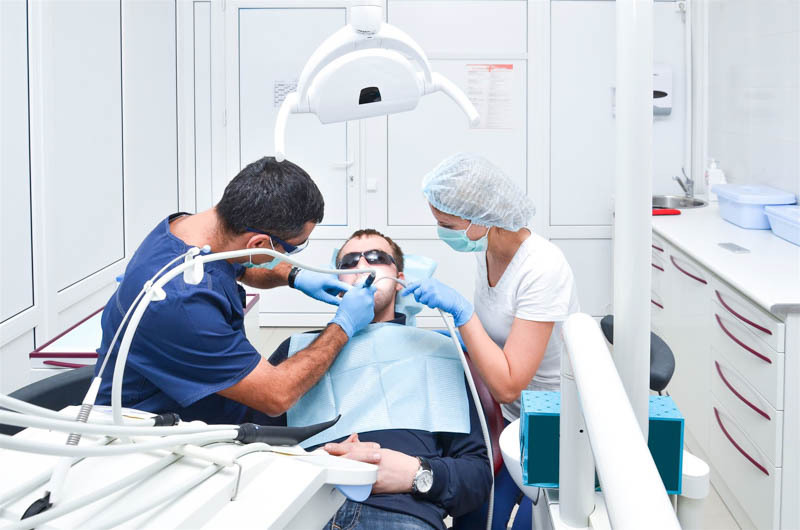 There are many treatment options available to help you manage this condition, and our dentists will work with you to determine which type of treatment will be most beneficial for you. To schedule your consultation with Dr. Aaron Bushong and Dr. Beau Schneiss, and to learn more about sleep apnea treatment in Green Bay, Wisconsin, please call us today at 920-339-9013. Sleep apnea is a sleep disorder characterized by interruptions and pauses in breathing while asleep. These pauses may occur dozens of times each night. Obstructive sleep apnea is caused when the soft tissues of your throat or your tongue collapse or roll back to block the airway. When untreated, sleep apnea can contribute to several serious medical conditions, such as heart disease, high blood pressure, and liver problems. Our office offers several treatments for sleep apnea. If you suffer from mild to moderate sleep apnea, our dentists may recommend an oral appliance to fit over your teeth and keep your airways open. In more severe cases, we may recommend oral surgery, such as Uvulopalatopharyngoplasty (UPPP), in which the excess tissues from your upper mouth and throat are surgical removed. For more information about sleep apnea treatment, and to make your appointment with our skilled dentists, please contact our office today. TMJ (temporomandibular joint) disorders can cause significant discomfort in your day-to-day activities. If you have a TMJ problem, our dentists can provide treatments to relieve your pain and discomfort, and help you regain a healthy jaw function. Please call Green Bay Smiles at 920-339-9013 to make your appointment with Dr. Aaron Bushong and Dr. Beau Schneiss, and to learn more about TMJ treatments in Green Bay, Wisconsin. If your tooth is severely decayed, broken, or otherwise damaged, our dentists may recommend a tooth extraction. Tooth extractions often become necessary when a tooth is damaged beyond the point of restoration. To learn more about tooth extractions in Green Bay, Wisconsin, and to set up your appointment with Dr. Aaron Bushong and Dr. Beau Schneiss, please call Green Bay Smiles today at 920-339-9013.